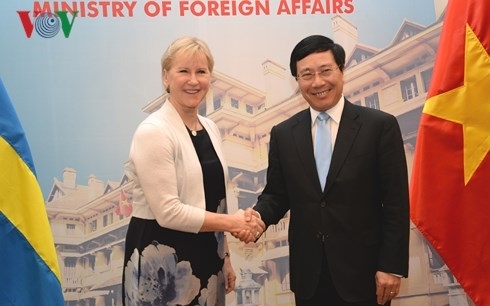 On November 23, Deputy Prime Minister and Foreign Minister Pham Binh Minh held talks with Swedish Foreign Minister Margot Wallström in Hanoi. At the talks, Minister Margot Wallström spoke highly of the significant achievements that Vietnam has obtained in socio-economic development and international integration over the past few years, particularly its successful organization of the APEC Year 2017. She stressed that Sweden wishes to further develop its traditional friendship and multifaceted cooperation with Vietnam. Deputy PM Minh expressed his gratitude towards Sweden for its valuable support, both materially and spiritually, for Vietnam in the country’s past struggle for independence and reunification and its current national development cause. He emphasised the significance of the Swedish diplomat’s ongoing visit to Vietnam especially as the two countries are going to celebrate 50 years of bilateral diplomatic ties in 2019, affirming that the visit will contribute to further strengthening the traditional friendship and multifaceted cooperation between Vietnam and Sweden. The two ministers expressed their delight at the fine developments in the Vietnam-Sweden relations over recent times. Both sides also agreed to strengthen the exchange of delegations, especially at the high level, and continue to work closely with each other at regional and international multilateral forums. Sweden is currently an important economic partner of Vietnam in Northern Europe with two-way trade reaching over US$1.2 billion annually. As of September 2017, the bilateral trade revenues were at more than US$1 billion, up 16% compared to the same period last year. 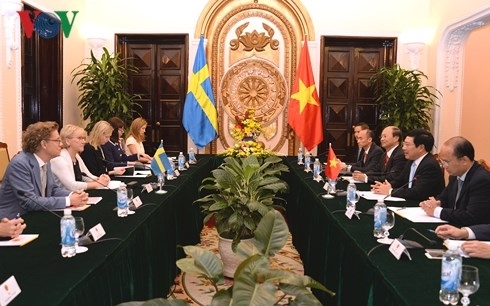 In order to consolidate and deepen the Vietnam-Sweden ties, Deputy PM Minh recommended a number of specific measures to facilitate bilateral collaboration in various fields including trade and investment. 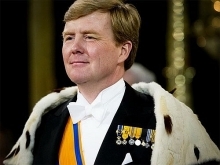 He asked the Swedish side to invest further in Vietnam, share its advanced technology and management experience in the fields of Sweden’s strength, share experience in promoting innovation and startup, consider granting more scholarships and creating favourable conditions for Vietnamese students to study in Sweden, and support the finalization of the legal system and judicial reforms in Vietnam. Notably, both sides agreed to accelerate the establishment of strategic partnerships between the two countries in the areas of education-training, life sciences, healthcare and environment. On the occasion, Deputy PM Minh thanked and asked the Swedish Government to continue supporting and creating favorable conditions for the Vietnamese community to lead a stable life in the country.